Welcome to my website. Thank you very much for visiting. I am currently undergoing a big redesign of the site. I had a very bad relapse of the ME/CFS over the last few years, which hit me very severley and I am only just recovering, which has meant I have not been able to put any energy into this space for a while. I've been concentrating on my recovery from what has been a truly devestating illness. As I am slowly recovering I am catching up on updating this site, responding to correspondence that I missed and getting back to my writing. I am now strictly pacing my activity, which means I'm having to be very strict on how I use my time. All I really want to do right now is recover, write and enjoy myself, so I am not going to take on any extra work and concentrate on honing my craft on my own projects and I intend to start keeping a video diary of my next screenplay on YouTube, sharing the process and hints and tips I've picked up along the way. I hope you are able to find what you are looking for. Everything you may need to know about me is contained in the links to the left and I also have a huge collection of resources, advice and links for the film industry which are all collected together and organised in my Film Web Portal. My Film Portal also includes my advice for Screenwriters, which I started to compile in 1997, while working as an assistant to a Director/Producer. On realising the challenges facing new writing talent, I decided to call it Screenwriters' Friend, as it is has been created to encourage, inspire, guide, motivate and be there when the going gets tough or confusing and warn against the dodgy and the iffy who will try and take advantage, but you will conquer them, of course, with your new found knowledge from a friend! This information has now grown quite considerably, as my own knowledge and experience continues to expand and it eventually makes it to the page and is shared with you. My website has been providing information and knowledge to the film industry online since it's inception in 2001. In 2007 I upgraded my domain from www.jengo.8m.com to www.jengovey.co.uk Woo hoo! I hope my recovery from ME/CFS will inspire people to overcome their difficulties and any obstacles and follow their dreams. I will include my philosophies and ideas on wellbeing and success and the many methods I have used to overcome my own challenges and stay positive and focused on my goals and aspirations. 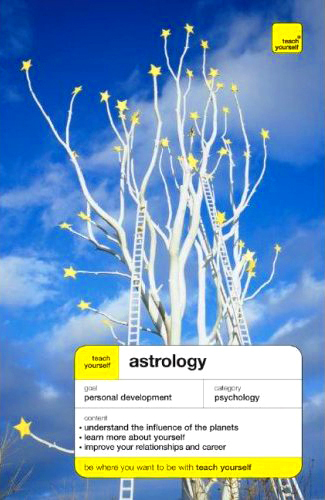 Something else I am very excited about is my astrological chart being heavily featured in my dear friend Lisa Tenzin-Dolma's book Teach Yourself Astrology . Published by Hodder, UK and McGraw-Hill, US. If you are interested in astrology, this book is a fascinating guide into discovering your own potential and how to maximise on your cosmic resources and self-development. It also goes into depth about my own motivation and why I am so drawn to film-making as a career. Fascinating stuff! Lisa Tenzin-Dolma is an amazing lady who has written some amazing books, so please check out her website www.tenzindolma.co.uk.